There are few things quite as important as the way that your employees feel when they are at work in your office. Keeping them as happy as possible should always be one of your top considerations, and the truth is that there is so much involved in this process that it is all too easy to overlook some of the more important things in favor of others. 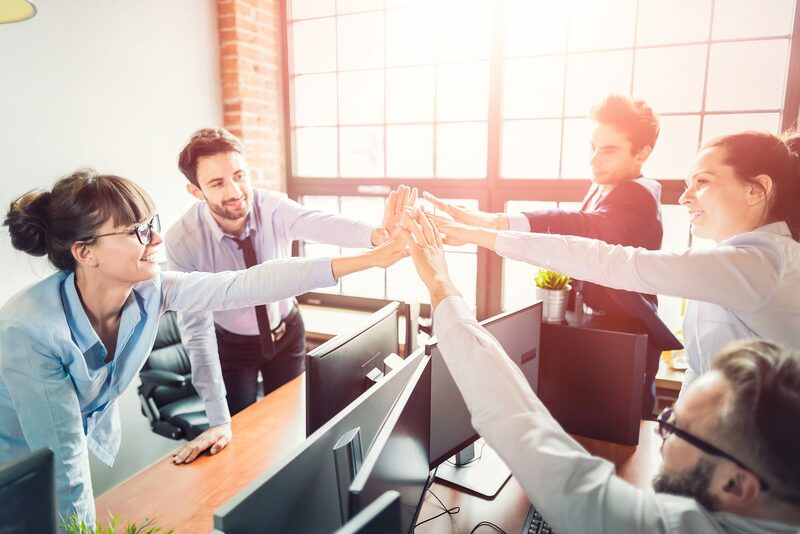 If you are keen to try and keep the morale as high as you can in your business, then you should seriously consider some of the following, all of which are proven ways to raise the atmosphere in the office and keep everyone smiling. As long as you manage that, it will mean that you are able to run your business that much more smoothly and successfully, and that you will find your business achieving much more than you might have even assumed possible for it. Let’s take a look and see what might be involved here. Who’s to say that you shouldn’t have an occasional social gathering with your employees? There is nothing wrong with this, and in fact it has a way of bringing people closer together which can actually be hugely helpful for any workplace and nay business. Although you don’t want to overdo it, you will find that having a social event once a month or so will work wonders for everyone who works there, and it will be a great way of bringing people closer together, especially in the early days of the business when people don’t really know each other that well. Many of the anxieties and awkwardness will disappear when people start to see each other outside of work,not least because it reminds them that their colleagues are just humans with jobs at the end of the day. You need to be careful not to make sure that you do this too often, as it could lead to a lack of respect on your part, but as long as you get the balance right you will find that you are able to make a surprising difference to the morale in your workplace in no time at all. It is hard to really be happy in any office if you do not feel absolutely one hundred percent safe there, so this is something that you should make sure you are thinking about as well. There are countless ways to increase and improve the security in your workplace, and no matter what else you need to make sure that you are doing this regardless. It is as much a matter of moral and legal responsibility as anything else, but you’ll also find that it helps your employees to feel much better about being in the workplace with you. There are a number of ways to increase the security in your workplace, and one of the most important has to be ensuring that you do not allow unsolicited people to enter the building as they please. One of the best ways to achieve this is to make sure that everyone wears a lanyard from the likes of Lanyardsusa with an ID card attached, and you have security on the doors checking these as people come and go. That will usually suffice to keep people out – but there is more to security than just who enters the building. You should also make sure that you are doing everything in your power to keep your IT systems safe, as if they are not then your employees will not feel safe either. They will know that you have information that pertains to them – such as their HR files – and they want to feel that these are going to be kept as secure as possible. If you can promise that, then they will be much happier on the whole, and it will mean that your workplace is going to be a much happier place to work. Get the security right, and your employees will be much happier to work in your workplace, and this is an effect you will be likely to notice as soon as you would hope. Let’s not pretend that the pay is not important for people – of course it is, and if you want your employees to be as happy as possible you will need to make sure that they are happy with their pay. Some employers might say that employees are never truly happy with their pay, as the human instinct is for more at all times, but the truth is that most people will at least be settled in their work if they feel that they are getting paid well enough for the work that they do. If you are not sure whether you are paying your people enough, you might want to think about looking into what other competitors are paying their staff. This is generally a good indicator of what you should be aiming for. The other side to paying fairly, of course, is making sure that you pay different people the same amount for doing the same work to the same experience level, regardless of any of their accidental personal characteristics. This is both a legal and moral necessity, and one of the absolute essentials of ensuring that your people are happy to work for you. As long as you get this right, you at least won’t have this reason to blame for morale being low. Along with the pay itself, you also need to think about the benefits, which are for many people just as important as the pay. You should be offering a full range of benefits which your employees can expect and enjoy, and they should be competitive with other similar companies. If you can’t offer this, then your employees will not feel the desire to work quite so hard, and in time that will lead to a workplace whose morale is seriously faltering. Make sure you don’t make this mistake.